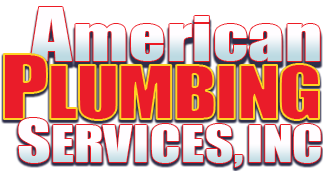 At American Plumbing Services, Inc., our goal is to help educate our customers and provide them with helpful plumbing advice in an effort to catch otherwise unforeseeable problems before they arise. 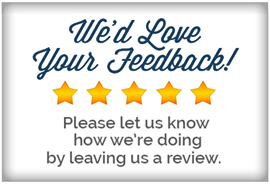 Feel free to contact us today with any of your plumbing related questions and concerns. Our friendly and professional staff would be honored to assist in troubleshooting your plumbing concerns. After all, the time you spend now could end up saving you hundreds or even thousands of dollars. We'll tell you what the other guys won't. Does it drip continuously? It can most likely be re-built at a minimal cost. It could also be a result of excessive water pressure, or calcification build-up. If it is not leaking, chances are it does not need to be replaced. Try the reset button on the bottom of the unit. Toilet running? Faucet Dripping? Irrigation Leak? Slab Leak? Visually inspect water meter for movement. Any indications, give us a call and we will be happy to locate and repair it for you. Is everything in your home backing up into the tub/toilet? Walk outside and locate your sewer clean-out (if your house has one). If you carefully remove the cap, all sewage will drain to the outside, rather than all over your new carpet or wood flooring. Give us a call, and we will take care of clearing the line for you. Consider the energy savings with "On Demand" hot water. Currently your water heater kicks on multiple times throughout the day in order to maintain the pre-selected temperature, where the tankless runs only when supply of hot water is needed. Something to consider. Does it run frequently? Could be a water level adjustment or a flapper replacement. Check for corrosion at all fittings/connectors. Flushing unit at-least twice a year could extend the life by up to 40%.